Kedarnath, Gangotri and yamunotri to get rid of their sins. Char Dham as defined in modern days are the names of four pilgrimage sites in India that are widely revered by Hindus. It comprises Badrinath, Dwarka, Puri and Rameswaram. It is considered highly sacred by Hindus to visit Char Dham during one's lifetime. The Char Dham defined by Adi Shankaracharya consists of four Vaishnavite The char dham is defined by the Pandavas in Mahabharata as Badrinath, pilgrimages. 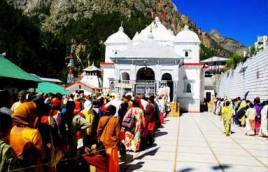 The ancient pilgrimages sites in the Indian state of Uttarakhand i.e. Yamunotri, Gangotri, Kedarnath, and Badrinath were known as Chota Char Dham to differentiate them from the bigger circuit of Char Dham sites. 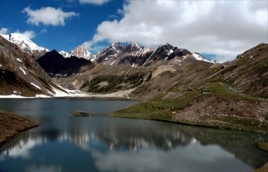 Alaknanda is joined by rivers flowing in from the Niti Valley, Nanda Devi, Pindari Glacier and Kedarnath and lastly the Bhagirathi coming from Gangotri. 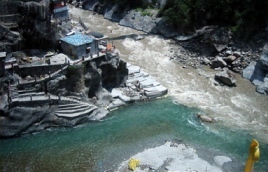 The points where these sacred rivers meet the Alaknanda form the Panch Prayag, the 5 holiest meeting of the Garhwal Himalaya. Adi Kailash Range, approaching up the Darma, using the Shin La as the link and returning via the Kuthi Yankti Valley to join the Tibetan pilgrim route down the Kali Ganga is known as the Adi Kailash Yatra. The circuit is rarely completed because the Shin La is a high pass. 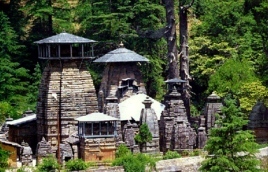 Jageshwar is believed to be the abode of the 12 Jyotirlings. It is one of the most important religious places of Hindus. It is placed in an attractive narrow valley with wonderful Deodar trees. Jageshwar is sited at the height of around 1900mt. above from sea level. 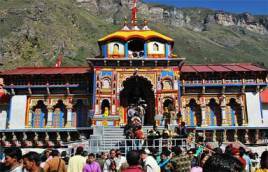 Badrinath the place of the God Vishnu in his aspect of Badrinarayan, is the main of the four Dhams in India's Char Dham pilgrimage. Positioned in the hills of Himalaya, at an altitude of 10,248 feet above sea level is extremely famous among the hindus. 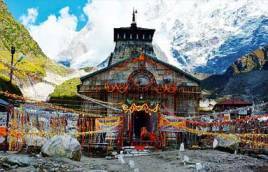 Kedarnath is one of the very popular pilgrimages for the religious Hindu and is positioned in the Uttaranchal state of India. Kedarnath, where a shape of the Lord Shiva is respected as one of the twelve jyotirling, is one of the four sites in India's pilgrimage Char Dham. Gangotri, the pleasing pilgrimage in the lap of the Himalayas is the most blessed destination where Ganga, the river of life, feels the ground for the first time. Located at 99 km from Uttrarkashi, at an altitude of 3140 meters, this shrine is dedicated to the Goddess.